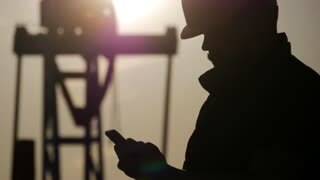 Search Results for "oil worker"
Oil drill, field pump jack silhouette with setting sun and worker. Oil field, the oil workers are working. 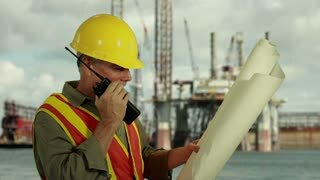 Engineer oilman works with a mobile phone. Oil drill, field pump jack. Oil field, the oil workers are working. 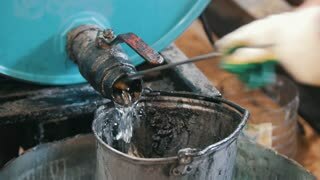 The Concept of Oil and Fuel Production. Wood work, tattooed master in pants with suspenders pours spray brush with seal oil and brushes boards to protect it, before making door. Silhouettes of engineer at oil rig pump of petrochemical industry in sunset sky. 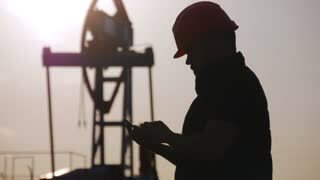 The worker stand on the background of oil pump. Oil and gas concept. Offshore oil worker walking on oil platform. Oil worker walks on an oil platform at sunrise. Realistic cinematic animation. Oil worker and Arab Sheikh talking on the background of a passing Rail tank cars with oil. Offshore oil worker putting on working gloves. Close-up of the legs of two people in working shoes and special clothes. Mining or oil workers go for a green background. Video of chroma key. 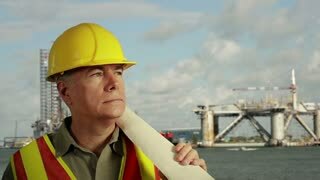 Offshore oil worker doing maintenance. Oil worker walks past the railway with Rail tank cars driving on it. 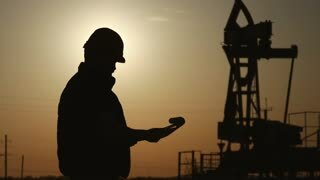 Oil worker inspects oil pumps at sunrise on the background of cloudless beautiful sky. Realistic cinematic animation. 1950s� A Santa Fe train carries a load of lumber, a train yard worker adds oil to train box, and careless worker spills oil on a coworker�s shoes in a train yard.